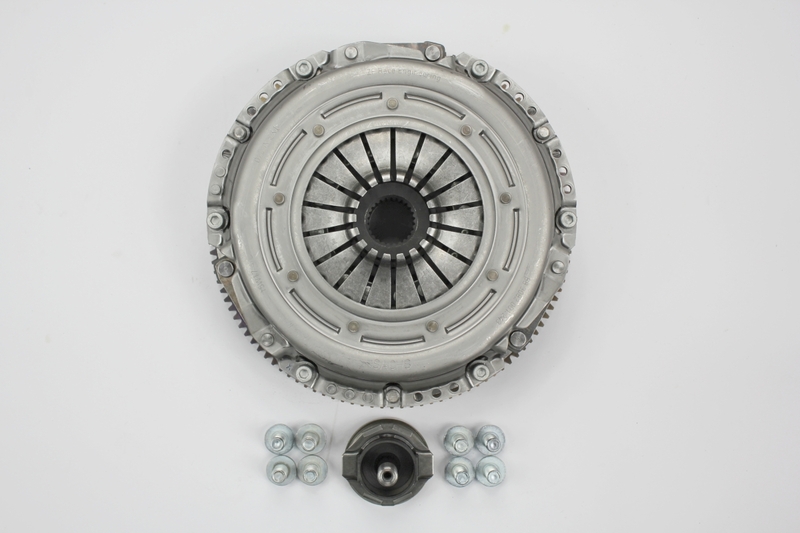 N54, N55 Upgraded Clutch for BMW M2, 335i, 135i, Z4 withstanding up to 1400NM of torque! 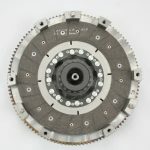 GotTuned.com`s Twin-Disc clutch is offered in two versions capable of withstanding from 1000Nm up to 1400Nm of torque in high-powered N54 and N55 engines. Please have a look at the table below to find out which version would work for you, don’t hesitate to get in touch if in doubt. 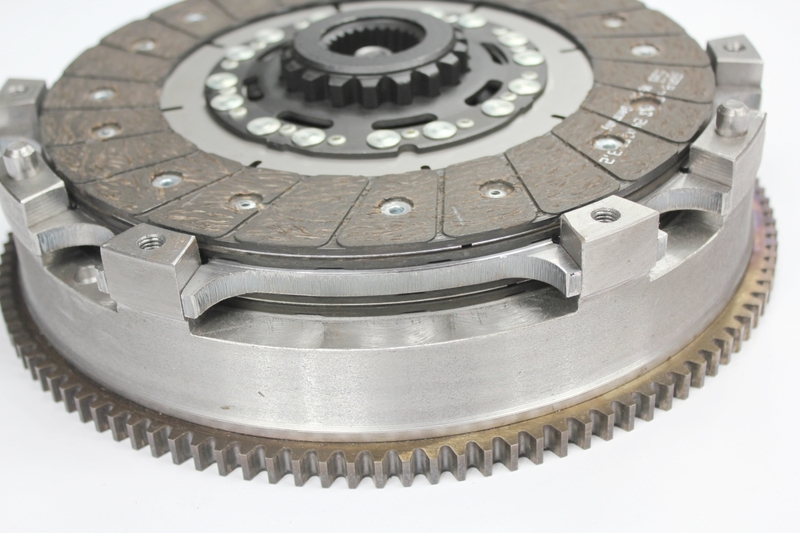 The clutch works as smoothly as an OEM clutch set but can operate at a much higher torque level. 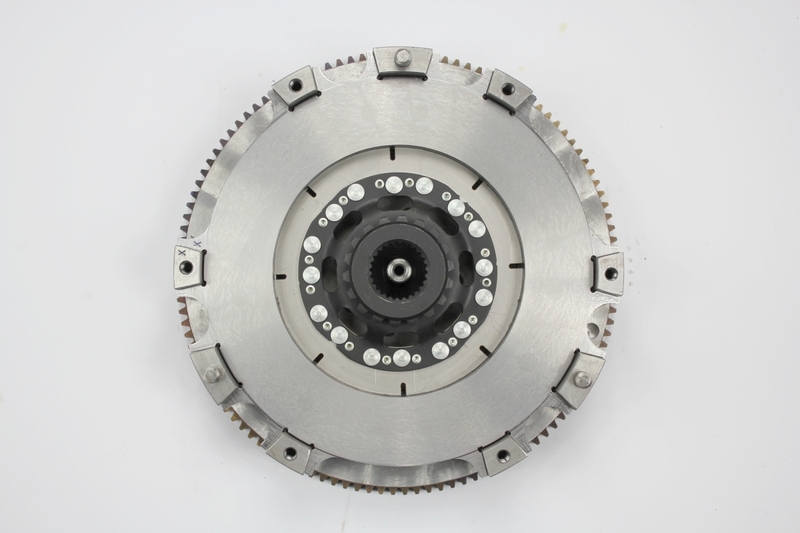 It provides a lighter rotating assembly, higher RPM capability, and greater clamp load levels. 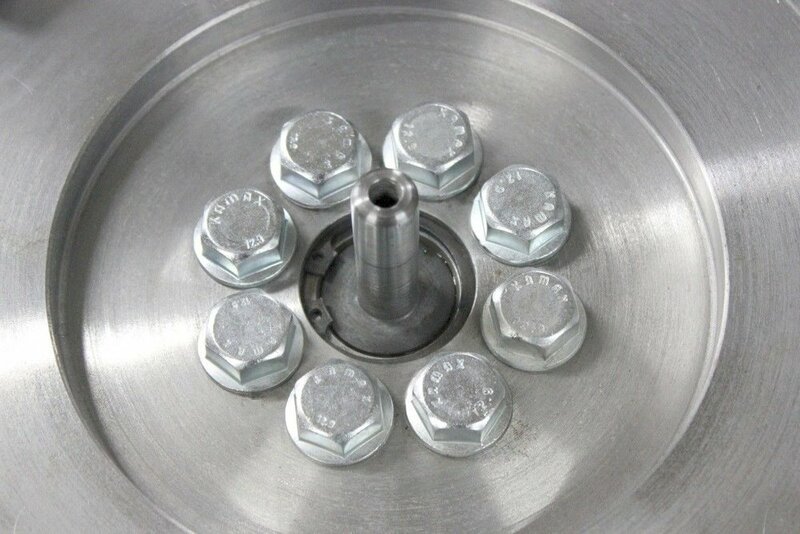 Flywheel mounted on 6 bolts N54B30A, N55B30 135i, M135i, M2, M235i, 335i, X3 35i, 435i, X4 35i, X4 M40i, 535i, X5 35i, X5 35iX, 640i, X6 35iX, x6 35i. 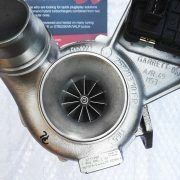 – It’s good for up to 1400Nm of torque! – 100% CNC precision machining and alignment assure a excellent fit. 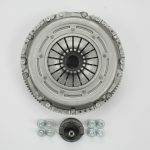 – Professionally balanced flywheel and spacer. 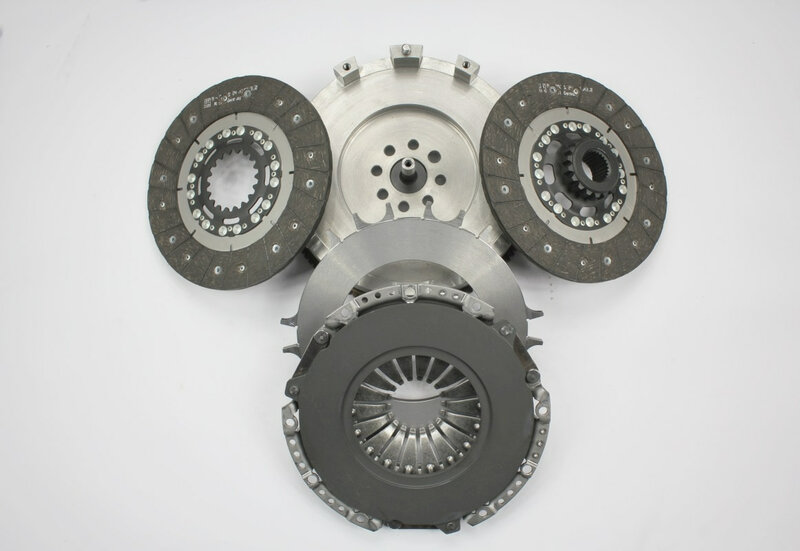 – Custom 240 mm clutch twin-discs (stainless steel base) using LUK’s Kevlar or Ceramic friction pads. 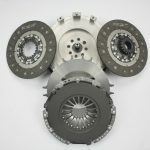 – Monoblock single mass twin clutch disc flywheel (approx. 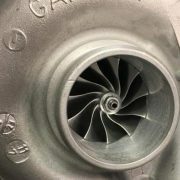 7kg). 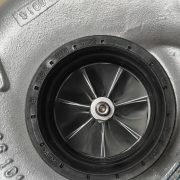 – Sachs Performance pressure plate (as option) with a non-SAC mechanism pressure plate. 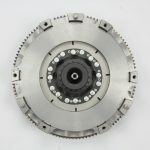 – Heat-resistant clutch disc spacer. – Flywheels have the starter gear mounted on it. 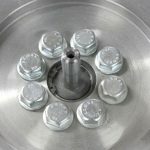 Regular pressure plate Regular pressure plate from BWM without SAC. 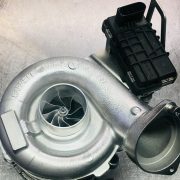 Good for 1000NM of torque. pressure plate About 30% stronger pressure than regular. 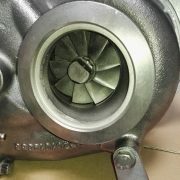 Able to withstand 1400NM of torque. 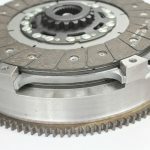 Kevlar friction pads Recommended for street cars and drivers willing to put the power onto the wheel in more linear way. Ceramic friction pads Grippier and stronger than Kevlar. Recommended for drifting and heavy abuse. The downside is that getting the car rolling may be a bit harder. The set can be renewed by GotTuned.com. 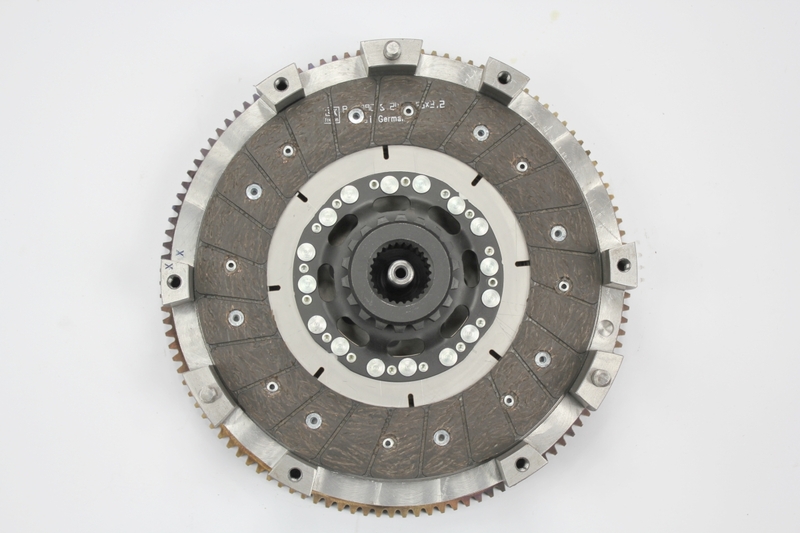 Average time we need to build this clutch is 7 working days.